He's done it before, with three other men. Why can't he do it again? Most likely you've seen that recent telco commercial featuring none other than The Eraserheads. Remember when they first came into the scene? 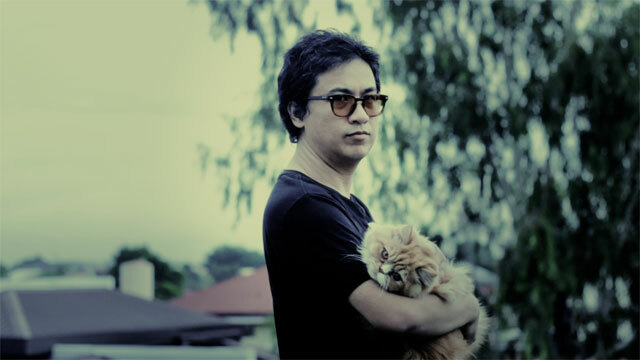 The unlikely crew of Ely Buendia, Raimund Marasigan, Buddy Zabala, and Marcus Adoro breathed new life into a then-rather lethargic local music scene, which was dominated by pseudo-artists doing cover songs and cheesy ballads. Fast forward to today, many have been spewing the proverbial phrase "OPM is dead." Although clearly an overkill, there may be some truth to the oft-frowned upon saying, as Original Pilipino Music isn't what it used to be. Now, Ely and his label, Offshore Music, which he co-founded with other industry veterans, spill the beans on what they intend to do to salvage what remains of OPM's glory days. Just like he and his fellow Eheads did all those years ago. For more on Ely grab a copy of FHM's August 2016 issue, which has the comebacking Solenn Heussaff as Cover Girl, available in supermarkets, convenience stores, newsstands, and bookstores nationwide! You can score digital copies through the FHM app on Apple App Store (http://bit.ly/fhmphapple) and on Google Play (http://bit.ly/FhmPHandroid),Buqo, and the Summit Media Newsstand (http://bit.ly/fhmmagph)!